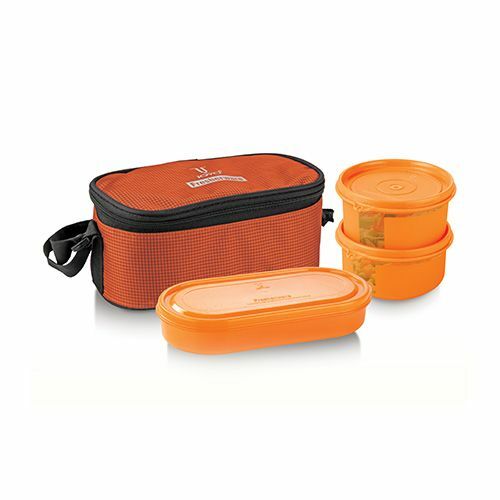 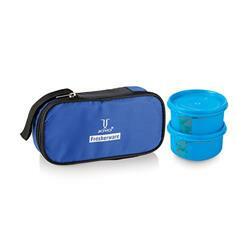 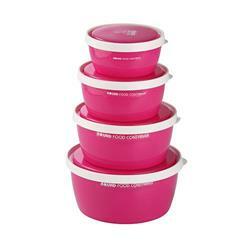 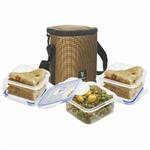 It contains Three round containers all of which are Leakproof plastic containers and microwaveable without the lid. 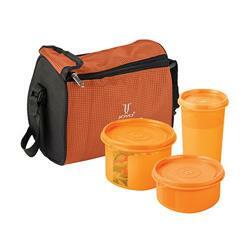 The outer soft jack has an additional compartment on the outside which can be used for additional storage. Ideal for office. Made from premium quality virgin plastic.